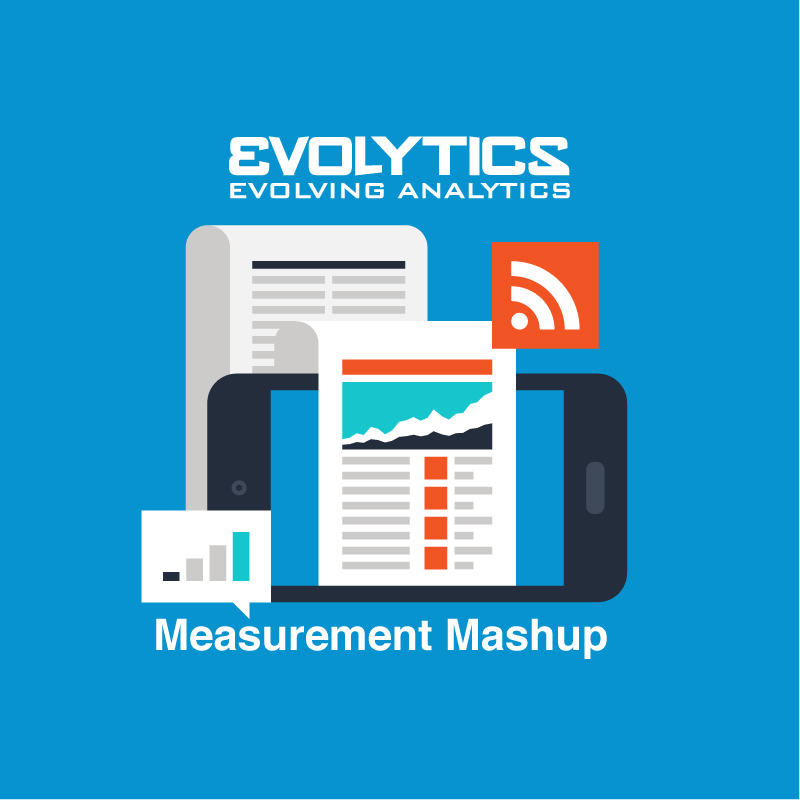 The Measurement Mashup is curated content from the Evolytics staff, bringing you the most interesting news in data and analysis from around the web. The Evolytics staff has proven experience and expertise in analytics strategy, tagging implementation, data engineering, and data visualization. Most marketers want holistic marketing attribution, but much fewer realize that dream. Recent statistics show that half of U.S. companies currently use digital multichannel attribution, projected to rise to 58.5 percent in 2018. Fewer marketers worldwide, only 8 percent, are confident in their ability to integrate offline data for an omnichannel view of the customer and holistic marketing attribution. While attribution often seems like the unattainable holy grail of marketing measurement, Evolytics recommends an evolutionary approach to reach holistic marketing attribution, that takes into account an organization’s current level of analytics maturity. We specialize in strategic enterprise planning, ensuring your team takes the necessary steps toward prescriptive, and eventually predictive, reports. Setting a solid foundation for your team is more important than jumping on the latest buzzword bandwagon. Oftentimes, there are quicker wins that reap immediate returns through improvements in foundational reports, analysis and data visualization. Fortunately, we partner with some of the most forward-thinking analytics teams in the world, and we have multichannel, holistic attribution models for those companies that are ready for the investment. “Limits on time, money and staff; organizational pushback; and issues associated with integrating the data and technology are just some of the many roadblocks companies face,” according to the article. Creating an accurate, reliable and fruitful attribution model uses every step of the analytics lifecycle, and it can be difficult to find organizations that have specialized teams in every area. Evolytics has proven experience from collecting clean data, to engineering a sophisticated big data solution, to creating impactful reports, and optimizing the model. In this blog post, Roger Peng, Professor of Biostatistics at Johns Hopkins, gets philosophical about the importance of communication of data analysis activities within, and outside of, the data science field. He proposes that current communication tools for data science fall short because they were borrowed from other disciplines, not built specifically for data science. Peng explores the fields of filmmaking, finance and classical music to find standard sets of communication tools that help teams of specialists foster mutual understanding and align on objectives. At Evolytics, we agree that data analysis is only effective if clearly communicated and understood by stakeholders. That’s why we have established our own tools, templates and processes for conducting and communicating data science and analytic activities. For example, we create measurement plans and implementation guides to align marketers, product teams, analysts and developers on analytics implementation projects. Also, we develop A/B and multivariate testing plans to set expectations on hypothesis, test design, sample sizes, test duration and test methodology across all stakeholders. Documentation, process and communication are critical to analytic project success. Evolytics has spent the last 10+ years developing the tools and processes necessary to effectively guide analytic projects, such as our DRIVE methodology. Contact us if you need this same proven approach to help launch or propel your own analytic initiative to success. In this op-ed piece, Collective’s SVP of Technology Jaisimha Muthegere argues for a more open and transparent advertising technology environment, powered by APIs and mutually agreed upon marketing data standards, analogous to SWIFT standards used by the financial industry. While the piece’s catchy title likely refers to Muthegere’s desire for open APIs instead of the default key performance indicators (KPIs) provided by “walled garden” platforms such as Google AdWords and Facebook Advertising, we should also note that Collective is a digital ad network that competes with Google and Facebook for ad budgets. Evolytics also encourages the free flow of data between different platforms for the sake of measurement and optimization, but this post glosses past the importance and purpose of a thoughtfully selected KPI. At Evolytics, everything we do starts with understanding a company’s business objectives. In the measurement planning process, we select KPIs that most closely align with business objectives to guide implementation, analysis and ongoing optimization. Business objectives and KPIs identify the data we need to collect or access using APIs, not the other way around. APIs may open up a whole new set of KPI possibilities, but placing too much emphasis on APIs and integration may distract from the original purpose of an advertising or marketing effort. A KPI or metric provided directly from an advertising platform is rarely the one most closely aligned to the actual business objective. As mentioned in a previous Mashup, companies should never rely on data from an advertising platform as the single source of marketing performance truth. We recommend advertisers measure as far downstream from an initial ad impression or click as possible to trackable micro and macro conversions. When measuring marketing performance, we don’t just look at available “out of the box” KPIs offered by platforms, we pick the KPI that most closely aligns with objectives and figure out how to collect the data necessary to power that KPI. We don’t put the API “cart” before the KPI “horse” when it comes to analytics strategy. The Weekly Mashup is curated content from the Evolytics staff, bringing you the most interesting news in data and analysis from around the web. 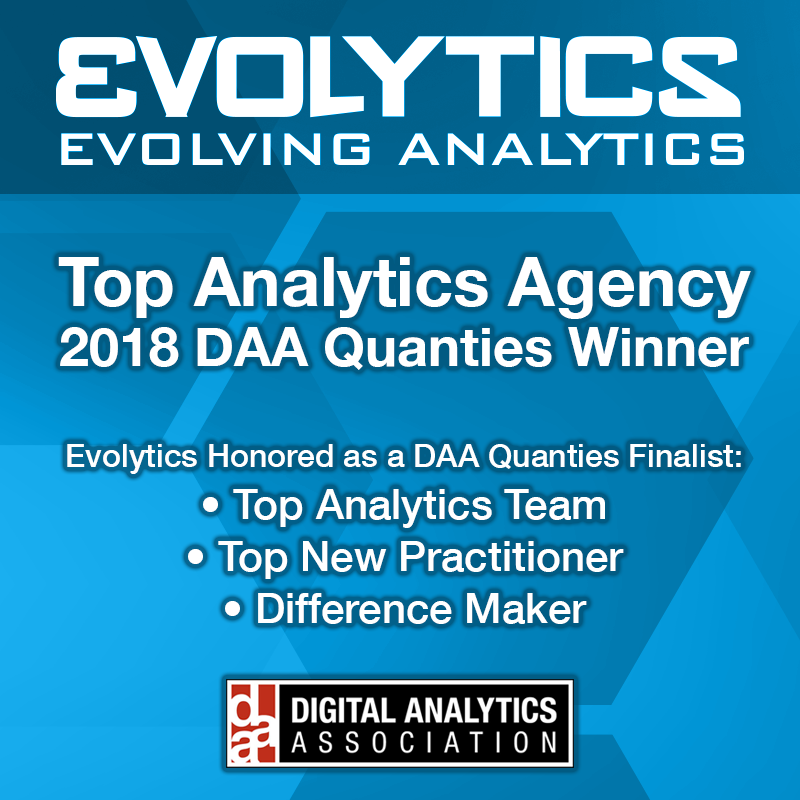 The Evolytics staff has proven experience and expertise in analytics strategy, tagging implementation, data engineering, and data visualization.